= Eriosyce subgibbosa var. litoralis (F.Ritter) Katt. Origin and Habitat: It grows in the rocks near the ocean. Description: Eriosyce subgibbosa var. litoralis (firstly described as Neoporteria litoralis by F.Ritter in 1959) is a local or morphological form of the widespread and variable Eriosyce subgibbosa. 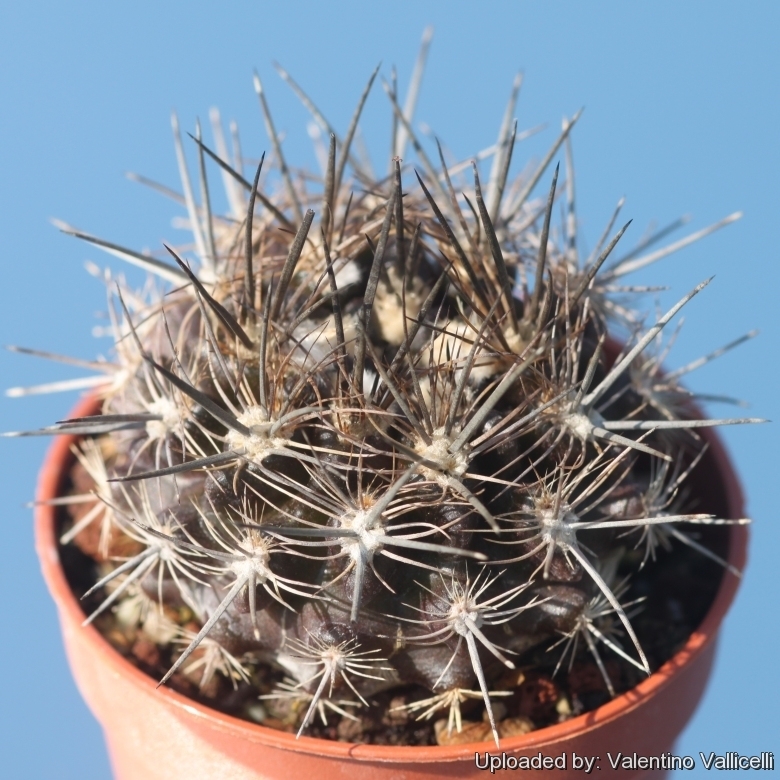 It is a very spiny solitary or slowly clumping cactus and has from 30 to 40 hairlike radial spines per areole. However the different forms of Eriosyce subgibbosa var. litoralis, appear to fall within the natural variation of Eriosyce subgibbosa and it should be fully synonymized with the latter.